Has buying flowers for someone or even yourself always seemed like a daunting take or something you just don’t know how to go about? At our florist in Mt Hawthorn and our florist in Karrinyup we can take the mystery out of the process so you can buy in confidence and be prepared for your florist visit. Pre made flower options are simply that. Flowers that have been specially chosen by a florist and already arranged into either a bouquet, a box arrangement or a vase arrangement. At both of our shops we have a selection of pre-made arrangements lined up ready for you to choose what suits your occasion. 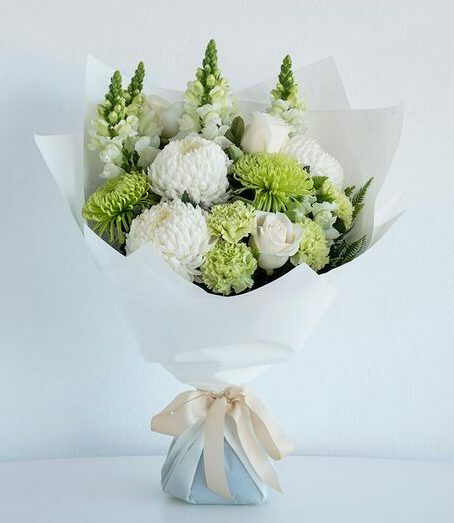 These are especially handy if you are in a hurry and can’t wait for something to be made up from scratch, At our Karrinyup florist in particular we have a large selection of pre-made arrangements as our local shoppers are often grabbing flowers at the last minute. Our helpful Perth florists at Code Bloom are also able to assist you one on one with any questions and can then make up a floral arrangement on the spot. Depending on the complexity of the arrangements this usually takes between 5-10 minutes. Every flower is sold by the stem and can vary in price from $2.00 and upwards. Greenery or foliage can also be added to the arrangements to enhance it and is also sold by the stem. So to start with once a customer has asked our florist for help, we take them around our flower tables to pick out what flowers or colour range they would like to include. It might be that the customer doesn’t have any particular preferences and would prefer the florist to make something with no particular instructions. Other times customers might choose every single stem of an arrangement and either way works fine for us. Bouquet, box arrangement or a vase arrangement? Once the stems are chosen we can start making the arrangement, There are several different options as to how to make the arrangement. The first and most common is to make it into a bouquet, which is then beautifully wrapped and ribbons ready to present to the recipient immediately. Our florists will also ask if you require water on the bottom of the bouquet, and this is generally recommended if you will not have the stems into a vase within 30 minutes or so. The water it kept safe by the cellophane wrap on the bottom of the bouquet, which then needs to be kept upright for transport. Bouquets give our customers the most value for money given the whole budget is spent on flowers and greenery alone, compared to having to pay for a box or vase arrangement. Boxed flower arrangements from Code Bloom are delivered to Perth and suburbs on almost a daily basis. They are also very popular because they are more easily transportable than bouquets. Box arrangements are particularly good for delivery to Perth hospitals for a sick relative or to say congratulations for a new baby. The box contains cellophane and wrap, which is wrapped around a block of oasis which the flowers are arranged into. this arrangement can stay in the box as is, and just needs topping up with water every now and then. So for a hospital patient it can sit beautifully there for them to see but needs no maintenance or attention. Again the flowers chosen to go into the box arrangement are sold by the stem, and cam be skilfully arranged by our florists. Box arrangements look the best starting at a budget of $60 and can be made into large boxes for $120 or more. 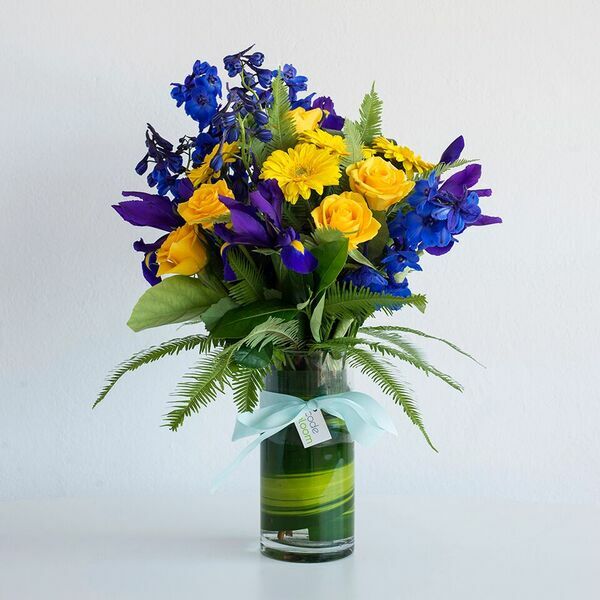 Flowers arranged into vases are also a popular purchase at Code Bloom. We find the most common vase people purchase is a simple glass cylinder vase. This lets the flowers be on show, not the vase and means it will be able to blend into any room and be re-used for future flowers. The next most common vase would be a glass fishbowl which is again perfect for re-using in the future but sits lower than a cylinder. Vases are available for purchase at both our Mt Hawthorn florist and our Karrinyup florist, and our florists can then talk you through the appropriate flowers for the vase. Arrangements can be pre ordered and picked up at a certain time, or we can arrange for delivery after you have finalised the flower details. Code Bloom delivers flowers to Perth suburbs Monday through to Saturday. Each suburb is charged at a specific rate and you can include your own personally written card if you place the order in store. 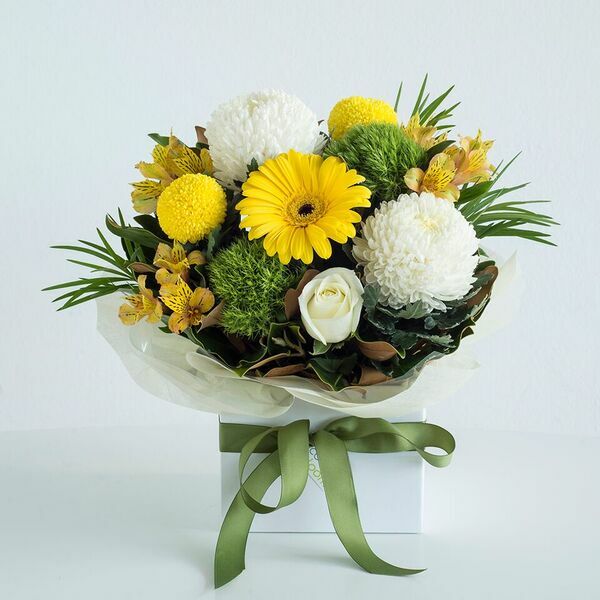 We have a specialised flower courier who is able to ensure the flowers arrive safely. Your order for pick up or delivery can be placed on the morning, the day before or a week or more in advance. So hopefully we have explained the process of buying flowers a little more. Just remember that our florists are there to help you so feel free to ask them anything! Call us at Mt Hawthorn on 9444 8604 or Karrinyup 9242 7359, email us at info@codebloom.com.au or pop in and ask away!